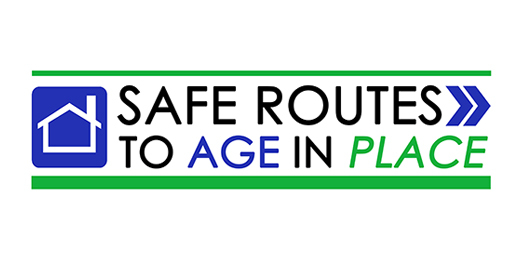 In 2012, the Safe Routes to Age in Place project was piloted by UHP in the Miami neighborhood of Little Havana as part of the Miami-Dade Age-Friendly Initiative. A criteria analysis was conducted and produced with the assistance of Kimley-Horn and Associates, Inc. Selection of the pilot location was based on three primary factors: Safety (determined by elderly pedestrian crash density); Density (determined by elderly population density); and Need (determined by percentage of households with no vehicles available). In addition, a confirmation factor of readiness was used to narrow down the pilot location for Safe Routes to Age in Place. The goal of the pilot was to to empower older adults in Little Havana, a neighborhood within the City of Miami, to recognize their needs and identify changes to improve safety within their neighborhood. The implementation steps included 1) community stakeholder interviews, 2) assessment of current active transportation conditions, e.g., walking audit, 3) partner identification, 4) selection of pivotal locations, 5) community dialogue, 6) Florida Department of Transportation Field Survey, 7) stakeholder problem solving, 7) action plan development, and 8) resource guide development. Participants engaged in educational workshops, led a walking audit, and led a discussion with elected officials and transportation agencies to advocate for the changes they wanted to see. UHP helped develop an Advisory Committee to address identified issues and to provide input to the Florida Department of Transportation Little Havana Pedestrian Safety Study.